Accompanied by his father/coach Roberto Racasa, an International Memory champion, Antonella Berthe will be seeing in action in the upcoming 15th Malaysia International Chess Festival to be held on August 17 to 27, 2018 at the Cititel Midvalley Hotel, Kuala Lumpur, Malaysia. The 11 years old grade 5 pupil of Victory Christian International School topped the 19th Asean International Age Group Chess Championships last June 2018 in Davao City. Aside from receiving the gold medal after winning the standard competition, “Tonelle” her nickname in the chess world is also won the coveted Woman Fide Master (WFM) title for her effort. Thus, Tonelle became the country’s Woman Fide Master (WFM) at the age of 11. She also won the Asean Chess Master title ( International Age Group Chess Championships in Kuantan Malaysia) at the age of 10 and the National Age Group Girls Under 10 Champion held in Cebu City at the age of 9. 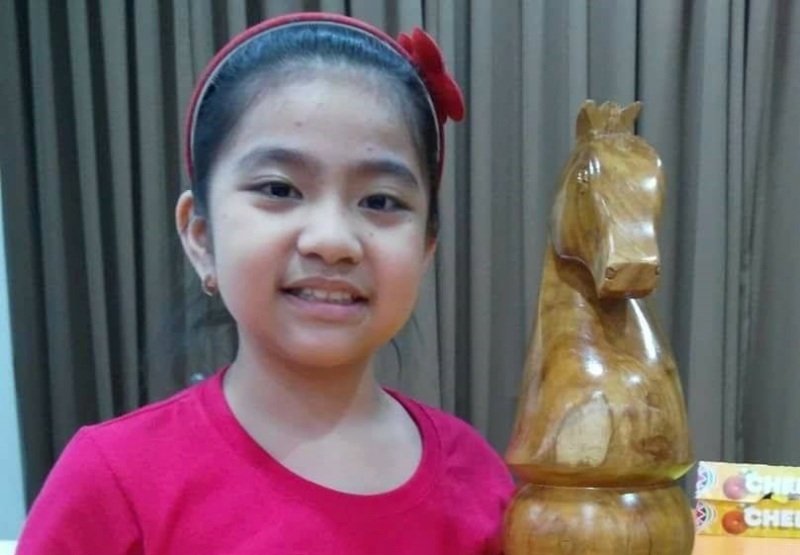 Tonelle is a native of Marikina City whose local and International chess tournament bankrolled by former Mandaluyong City Mayor Benhur Abalos, Mayor Menchie Abalos and councilor Charisse Marie Abalos-Vargas.